A joint effort between National Book Store and A Hole in the Roof Foundation. In November of 2013, one of the strongest typhoons ever recorded struck the Philippines, the deadliest storm to ever hit that nation. Called “Yolanda,” it destroyed many coastal towns in the Eastern Visayas region, killing more than 6,000 people, affecting over three million families, and destroying countless buildings, including many, many schools. Some were decimated, others simply washed away. 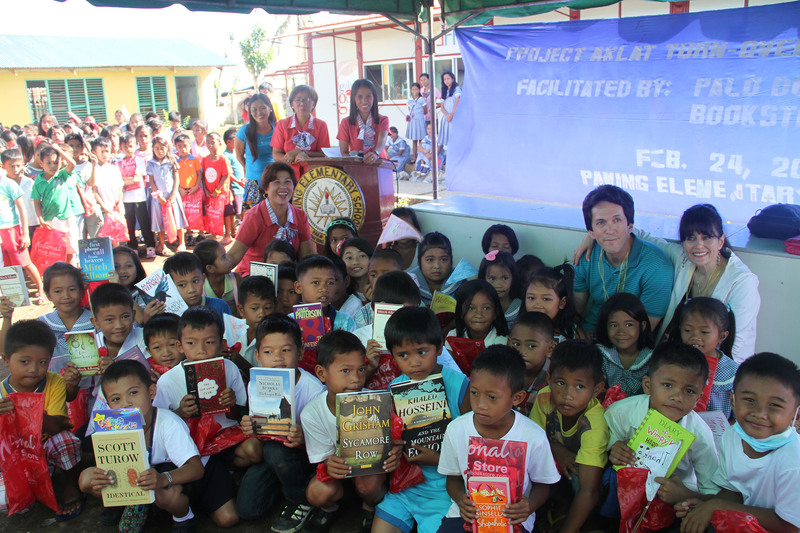 Supplies – including books – were no longer an option. 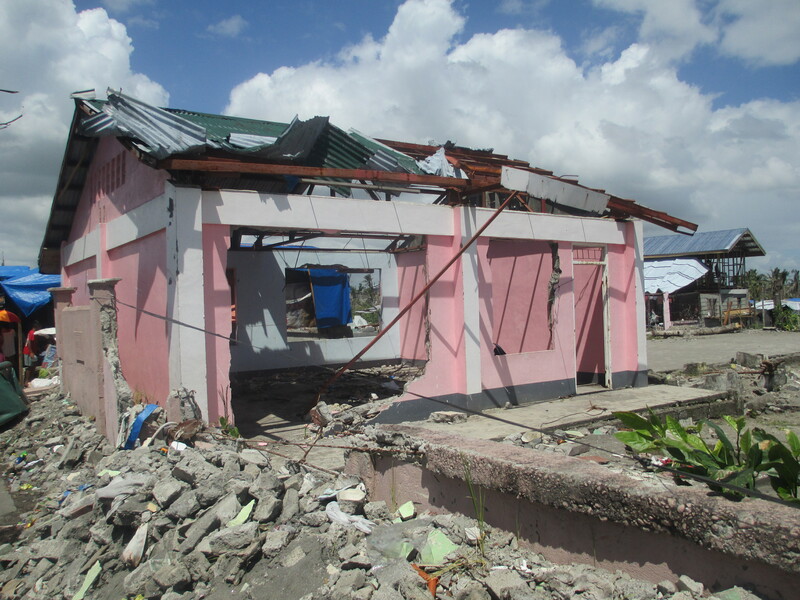 Now, as the nation – and particularly the hardest hit Leyte province and the regional capital city of Tacloban – tries to rebuild, it desperately needs help. 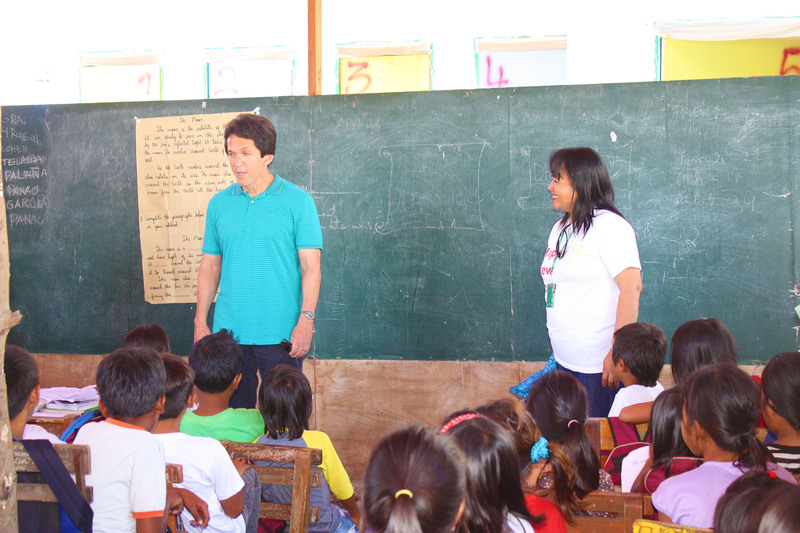 The children now have precious few reading resources and even fewer places to study.Mitch Albom and his A Hole in the Roof Foundation have launched the D.R.Y. 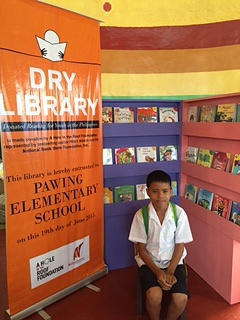 Libraries (Donated Reading for Youth) in the Philippines designed to reconstruct ten school libraries destroyed by Yolanda and stock them with books. 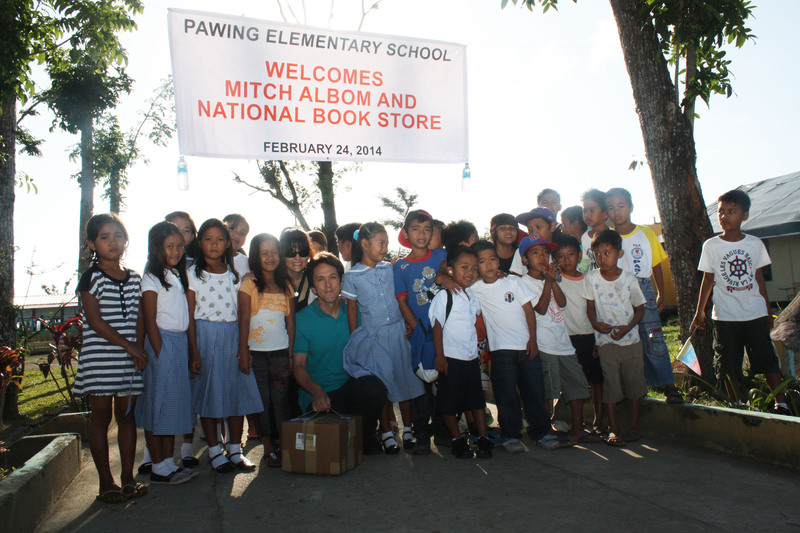 On Monday, February 24, 2014, Mitch Albom visited the Pawing Elementary School in Tacloban where he launched D.R.Y. 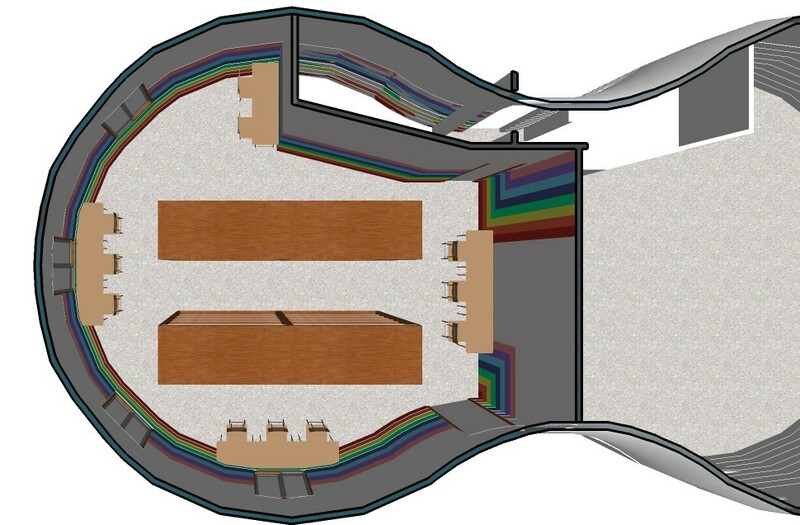 Libraries and pledged to help raise $160,000 needed for construction, partnering with the National Book Store Foundation to get it done quickly. 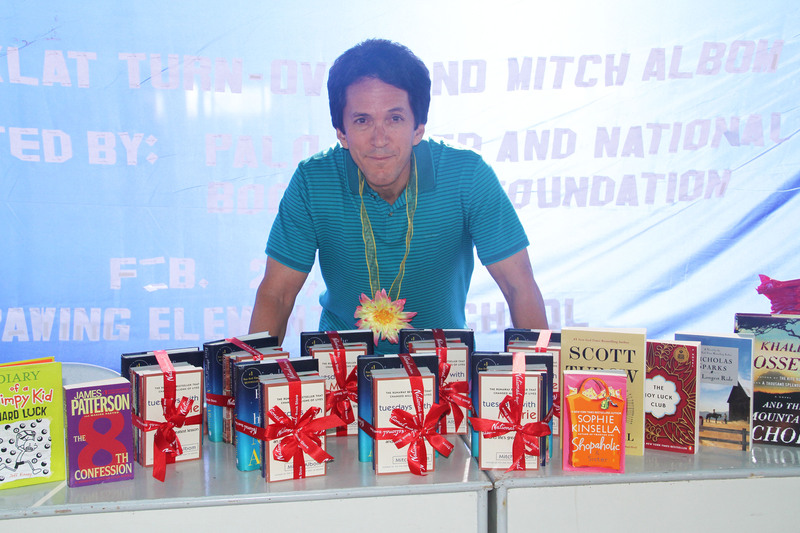 Beginning with a $10,000 donation of his own, Albom has also pledged hundreds of copies of his own books to start filling the shelves, and has asked other writers to join him. Many of the world’s best known authors – listed here – have joined in the cause, and have pledged at least 10 copies of their books, one per library, from their personal collections. Stories are the backbone of life. 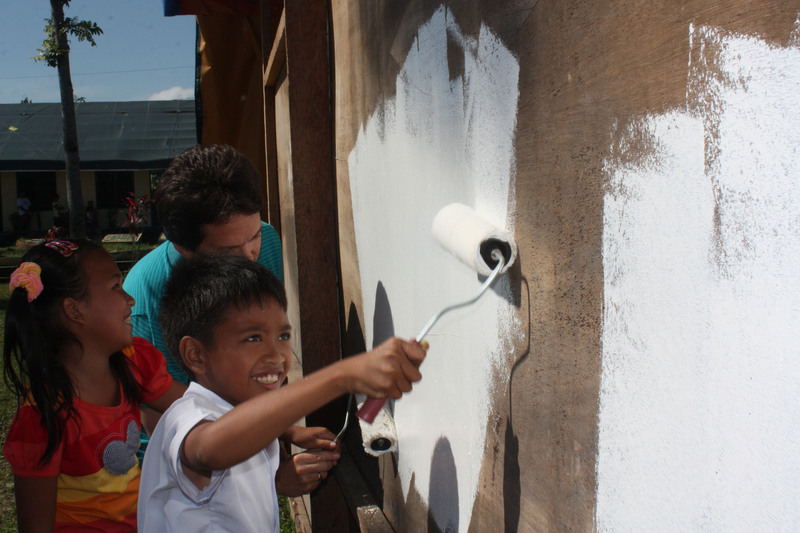 This is our chance to help rebuild lives with them. 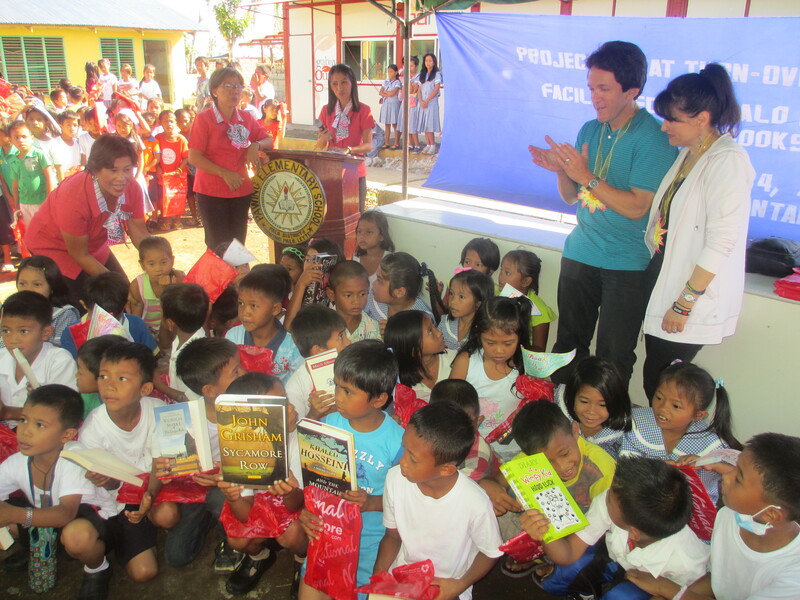 A library we will rebuild at San Roque in the Lyete province. 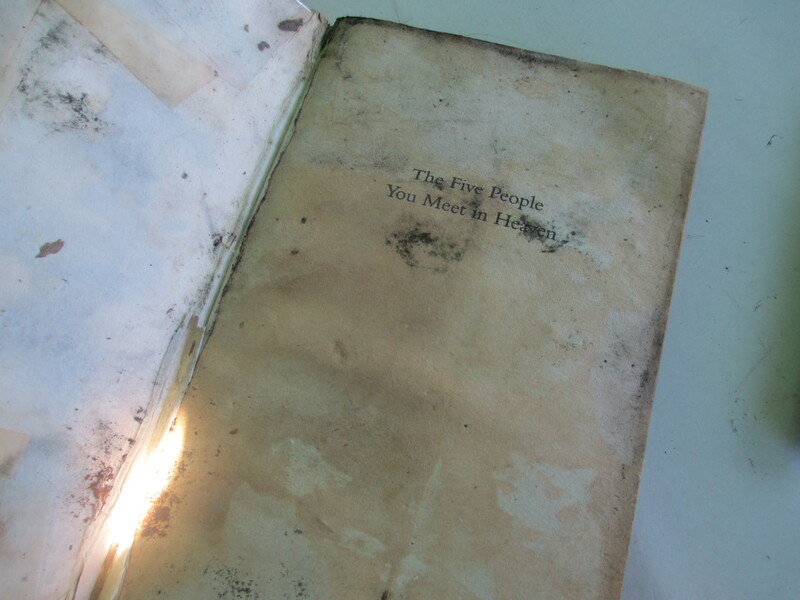 A book pulled from the wreckage. The interior shelves will be lower, at children’s height. 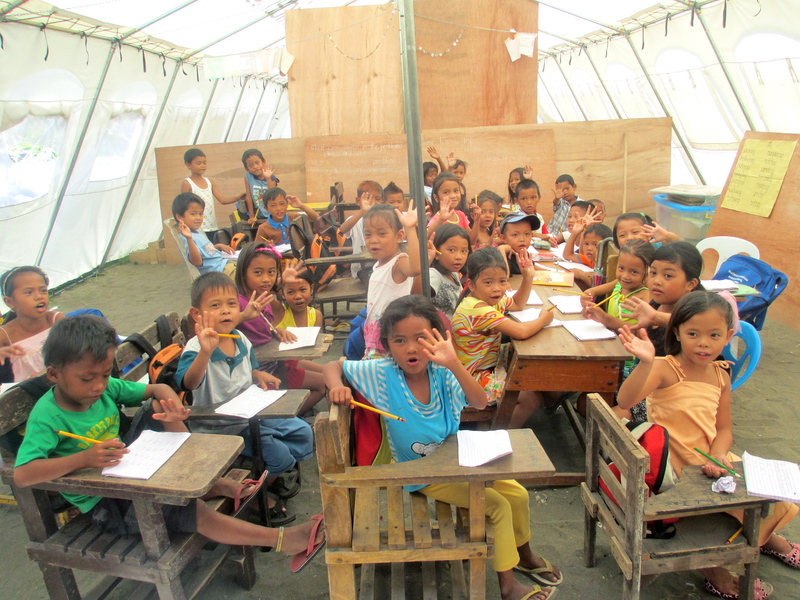 Students from decimated schools now studying in makeshift places. A Hole In The Roof Foudnation is a 501(c)(3) tax organization and all donations are tax deductible.